Far too much focus has been put on international rivers in the middle of foreign wilderness where you pay a fortune for your fishing and in many cases you will be stuck in a camp for a week with people you are not likely to know and have to fit in with. To my mind that type of forced camp scene is the opposite of having the freedom of spirit and carefully selected company that plays a big part in the enjoyment of the sport. Scotland is the best global venue available for a salmon fishing trip unless instant gratification is a mandatory condition in which I suggest you’re pursuing the wrong creature. Atlantic salmon are made special by their often elusive qualities and real tact and careful planning are both necessary to make a salmon come for the fly wherever you fish. When I say Scotland has the best venues what I mean is that Scotland has 400 salmon rivers in relatively close proximity and some of which fish for 9 months of the year. All of the popular Scottish rivers have first class local accommodation options and our famous beats are well maintained with proper fishing facilities to hand and highly astute professional ghillies who are true experts on their beats. FishingWild Atlantic salmon are unpredictable and they like do their own thing but Scotland has a good stock of fish running its river each year and even in naturally occurring low stock periods there's still always a good chance of catching them. 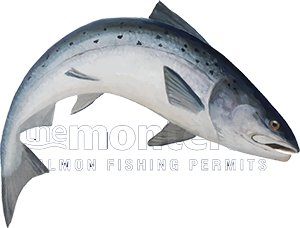 Scottish salmon fishing scores heavily and if you look at all the other things that make a salmon fishing trip special then you’ll see that Scotland is a truly excellent global salmon fishing destination. Don’t listen to the international agents who have more of their attention focused on tying up remote foreign fishing access exclusively with maximising profits in mind and look to Scotland for your carefully planned salmon fishing trip. The true challenge and enjoyment of salmon fishing is to be found without doubt on the Scottish salmon rivers.